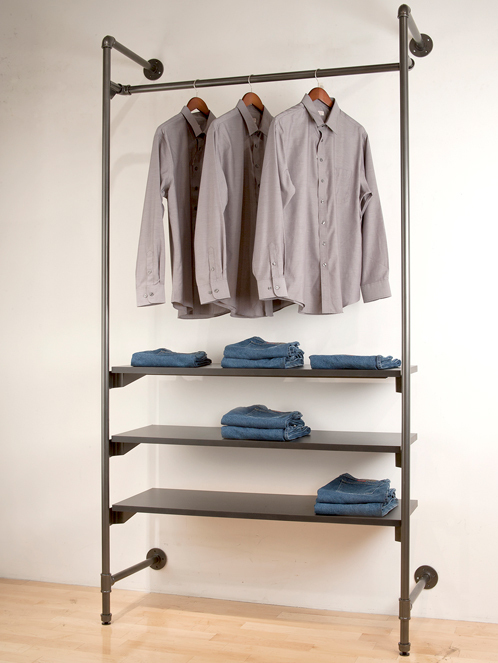 Urban Pipe Clothing Racks from Palay Display add a trendy, urban style to any retail environment. 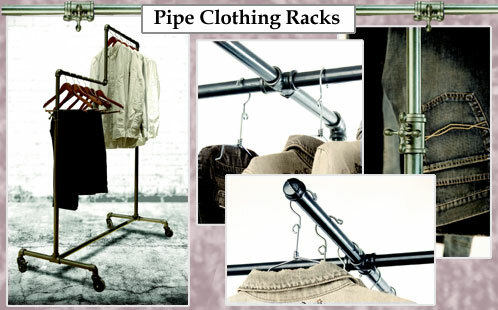 These Urban Pipe Clothing Racks are made using heavy-duty 1 1/4" pipe. Featuring an anthracite grey finish and sturdy 3 3/8” casters (2 locking, 2 non-locking), Urban Pipe Clothing Racks are ready to display today's most stylish clothing. To add to the authentic look of our Urban Pipe Clothing Racks, the height adjustment on equipped racks is controlled by faucet-style handles. Our collection of Pipe Clothing Racks includes costumers, single rail clothing racks, double rail racks, two-way racks and more. Shop for your Urban Pipe Clothing Racks today! Add-On Pipe Clothing Rack Faceout - 16"
Add-On Pipe Clothing Rack Faceout - 3"